Those files contain so much “raw meat” on powerful U.S. figures that we readers are told that whoever takes hold of said files will be able to rule the U.S. from behind the scenes by blackmailing the rich and the powerful. The novel’s naïvete shows in that premise. I despise Hoover but I’ve always considered his abuses to be the EPITOME of the behavior of “the intelligence community” (LMAO), not an aberration from it. The accumulation of private information about people carries with it the implicit intent to USE that information against them. Of course, these days Zuckerberg and his fellow Corporate Fascists cheerfully help “the intelligence community” (LMFAO) spy on all of us. At any rate this is an escapist novel so the tale gets told in a simplistic “good guys vs bad guys” way, despite Ludlum’s attempts at a more nuanced approach. HERO: Peter Chancellor, an up and coming novelist who is part muckraker and part conspiracy hound. His successful espionage novels have not only made him rich but have caused minor public uproars over the kind of governmental abuses we take for granted these days but which were considered shocking in this novel’s time period. Chancellor’s notoriety also means he gets a lot of conspiracy kooks feeding him “tips” about supposedly real intrigues of varying degrees of believability. Hey, there was no Internet yet, so what do you expect? Peter’s high public profile attracts a mysterious man who tries to convince him the recently deceased FBI Director J Edgar Hoover did not die of natural causes but was instead assassinated. Chancellor doesn’t believe it but considers the idea the perfect springboard for his next novel. Before long Peter’s background research makes him a target of so many threats and acts of violence that he wonders if the notion of Hoover being assassinated is as far-fetched as he at first thought. VILLAINS: Typical of Ludlum’s later novels there are multiple groups of antagonists. The main villains remain a mystery until the end of the story so I won’t spoil the identity of the people who really are behind the successful theft of Hoover’s files. INVER BRASS – Though they fancy themselves a benevolent group, they’ve become more like oligarchs, begging the question: how are they any better than Hoover himself? This group seems roughly based on the high-placed members of President Franklin Roosevelt’s unofficial “Kitchen Cabinet for Intelligence Affairs” (aka The Room). All presidents have had such unofficial advisors who operate out of the spotlight and out of the headlines but Inver Brass and some of its members are modeled very specifically on known FDR associates who belonged to The Room. As you would expect, that makes them VERY old by the time the events in The Chancellor Manuscript take place. Balladeer’s Blog strikes again with a segment of Give Them A Shoutout Before They’re Dead! If you liked the sheer oddball appeal of The Prosthetic Forehead Song from awhile back then you’ll LOVE Nick Lowe’s combination of Buckwheat Zydecko and Buddy Holly. It’s Half a Boy and Half a Man! 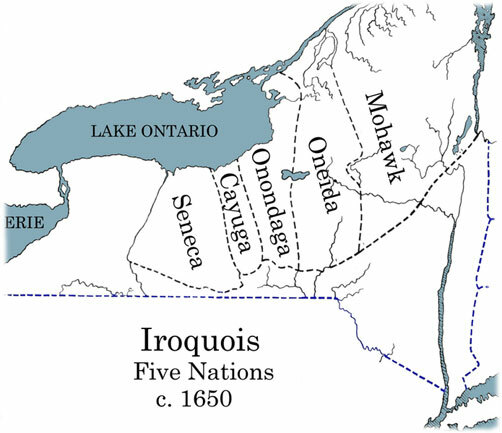 Here’s a look at six more deities of the various tribes in the Iroquois Confederation. 6. SHAGODIAQDANE – The Iroquois goddess of the summer. She was depicted as an old woman sitting cross-legged in the forest and she sang a song that only birds could hear and their own chirping and singing was considered to be their response to the goddess’ song. NUMBER TWO TAKES A HARD FALL – The 6th ranked COLLEGE OF SAN MATEO BULLDOGS welcomed the number 2 team in the rankings – the BUTTE COLLEGE ROADRUNNERS. The Bulldogs were unimpressed, grabbing a 17-0 lead in the 1st Quarter and never looking back from there. In the end the College of San Mateo devastated the Roadrunners by a count of FIFTY-ONE to TWELVE! WHEN RANKED TEAMS CLASH – The number 5 SADDLEBACK COLLEGE GAUCHOS took the field against the 7th ranked EL CAMINO COLLEGE WARRIORS and defeated them in a 48-45 Instant Classic ### The (1) FULLERTON COLLEGE HORNETS beat perennial powers the (4) MOUNT SAN ANTONIO COLLEGE MOUNTIES 49-23 ### And the (3) RIVERSIDE CITY COLLEGE TIGERS survived a 42-34 visit from the (12) VENTURA COLLEGE PIRATES. Balladeer’s Blog’s segment Give Them A Shoutout Before They’re Dead has proven incredibly popular so here’s another round. This shoutout is for what I consider to be the most overlooked hit song from Bob Seger: Rock ‘N’ Roll Never Forgets.